Yesterday was my 25th anniversary working for Zeiss so I went out for a nice quiet anniversary dinner to celebrate. 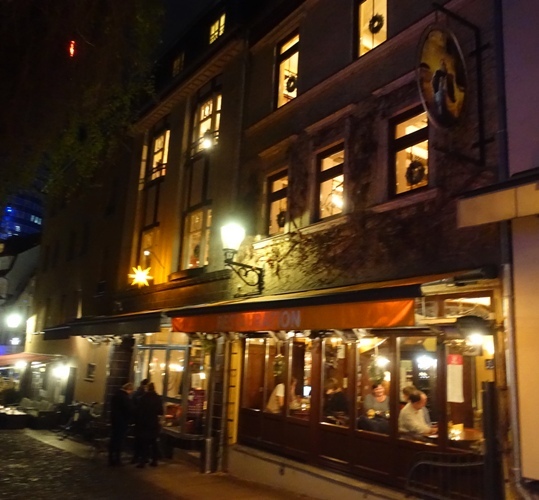 Since I am in Jena, Germany where Zeiss was founded almost 170 years ago I decided that I must eat somewhere close to where it all began. The restaurant that I chose is within a hundred meters of the second and third workshops of Zeiss. 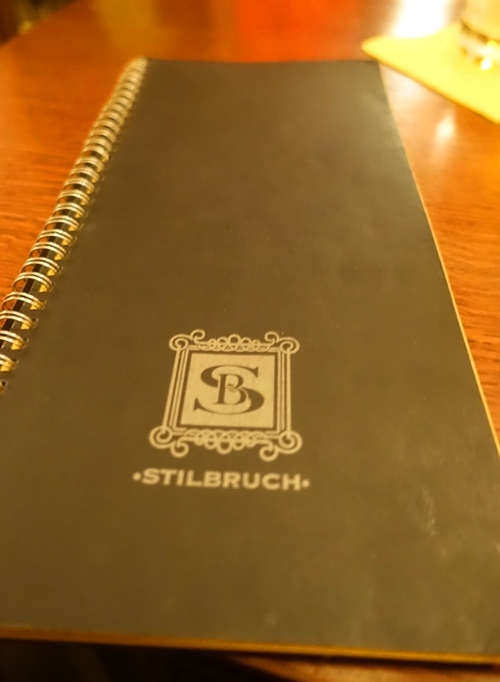 Restauration Stilbruch is also one of my favorite restaurants in the world. There was really no question as to where I wanted to have my dinner. I have been looking forward to this dinner since I first found out that I would be in Jena at this time. I also knew exactly what I was going to order. I had my favorite dish called Birnen-Pfanne. For those of you who do not know much German, the name of the dish in English would be Pear Pan. 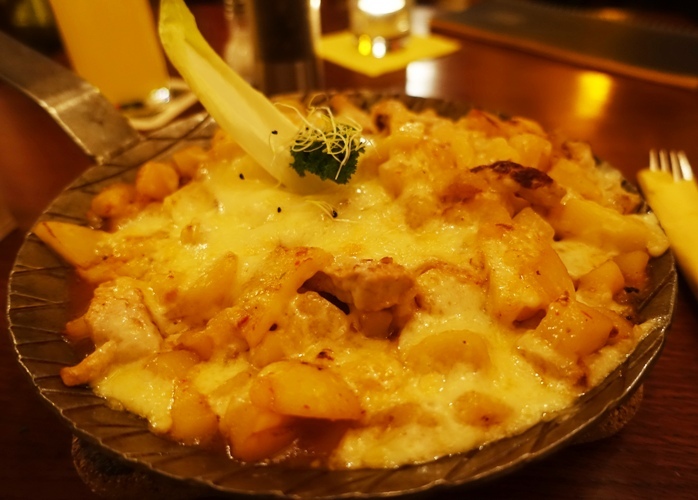 The ingredients are strips of pork, pears, potatoes, Spanish peppers and Gouda cheese. When I first started eating at Stilbruch 17 years ago the dish was also topped with hollandaise sauce. 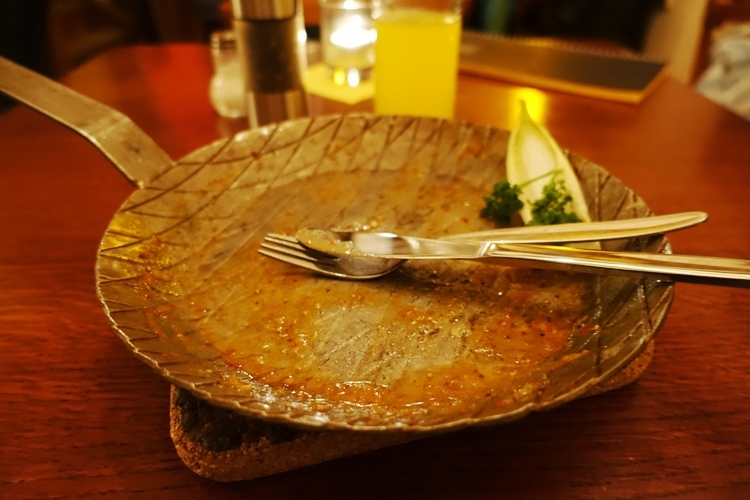 Of course, the food was wonderful and I had a lot of memories wander through my thoughts as I finished my meal. 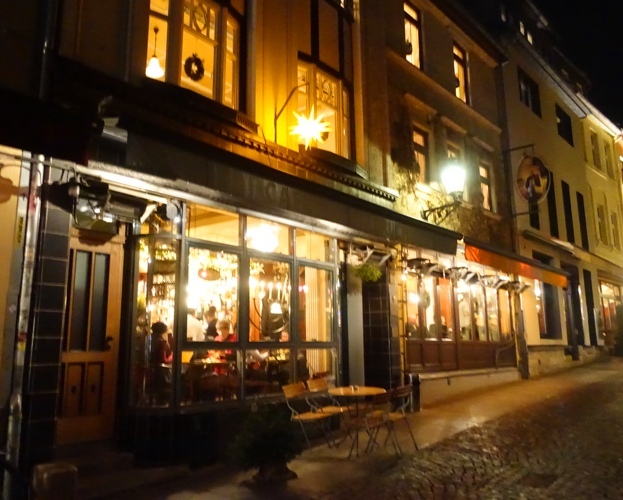 I have seen many changes in the restaurant through the years and enjoyed many nice meals during my visits here to Jena. After my wonderful dinner I then took a nice walk to where Zeiss opened his first workshop before wandering through the Christmas market. Definitely a night full of wandering thoughts. This entry was posted in Culture, Food, Germany, Memories and tagged Anniversary, Christmas Market, favorite food, favorite restaurant, jena germany, Potatoes, Zeiss. Bookmark the permalink. Congrats for your aniversary, Steve!